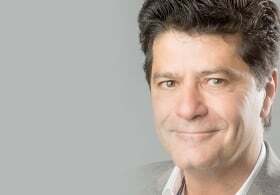 Unifor President Jerry Dias says that new contracts could spark a turnaround in the Canadian auto industry. Unifor leadership hopes the $1.6 billion in investments it secured from the Detroit Three automakers during 2016 labour negotiations can turn around Canada's ailing auto manufacturing sector. Whether those investments will save the industry in Canada could depend in large part on what happens over the next four years. Experts say a turnaround is unlikely without more investment and that those negotiated will only stop the bleeding. The contracts with the Detroit Three lock into place significant investments in some of the automakers' plants that the union identified as being in danger: General Motors' Oshawa assembly plant, Fiat Chrysler's Brampton assembly plant and Ford Motor Co.'s Essex engine plant. Those gains locked into the contracts, which also include wage gains and a new defined-contribution retirement plan for workers, could spark a turnaround in the Canadian auto industry's fortunes, Unifor President Jerry Dias said. "The 2016 negotiations on behalf of our members were an incredible success," Dias said. "We have reached agreements with the Detroit Three where they are investing and we are moving forward." The Canadian auto industry has seen better days. According to Statistics Canada, the industry has shed about 45,000 jobs since 2001, when data is first available on its online database. While the industry has seen a mild jobs recovery since the recession of 2008-2009, the fact is that the Canadian auto industry is a shell of its former self, hollowed out by two decades of globalization and shifting business strategies from U.S. automakers. For Dias and the Unifor leadership, it was imperative that they stop the bleeding and prevent, at least for the time being, the closures of any more Detroit Three plants, especially now that the U.S. auto market shows signs of slowing. Tony Faria, director of the automotive research office at the University of Windsor, Ont., says Unifor was successful in doing so, surpassing his expectations particularly with regard to keeping the GM Oshawa plant open. But whether Unifor can take its gains and translate them into an industry-wide turnaround remains to be seen, he said. "I'm not quite as euphoric as Jerry Dias. I don't see this as a turnaround, but I do see it as a way to stop the bleeding." Faria said that while the investments are important to saving existing jobs, few if any are likely to be created as a result of them, calling them "normal upgrades." Said Faria: "What's important is, will any more investment [come] from the Detroit Three other than what's absolutely necessary between now and 2020?" Kristin Dziczek, director of the Industry, Labor and Economics Group at the Center for Automotive Research in Ann Arbor, Mich., echoed Faria, saying that while the investment commitments put Canada in a better spot than it was, more significant investments are necessary to ensure the auto sector's long-term success. "When you get an investment like FCA in Windsor, that's a big deal," Dziczek said, referring to the recent $2.6 billion outlay for the Windsor assembly plant. "A new paint shop or a new line? That's a big deal. But new products on the same line? None of that signals anything for the long-term." Dias said the key for the union moving forward will be to convince the federal and Ontario governments to sign on to key financial incentives to make the automakers more willing to invest. With Prime Minister Justin Trudeau and the Liberal Party in control of the federal government, that should prove easier to do than under former PM Stephen Harper's government, Dias said. "We can't do this alone. Our members have given significantly over the last decade." But more must be done for Canada to become an attractive place for automakers to invest, Faria said. He said numerous factors working against the country include high energy prices, uncertainty regarding the Canada Pension Plan and geographic and trade advantages that Mexico and the U.S. have over it. "It's a number of policies that are not friendly to the business market that need to be looked at immediately," Faria said. He added that Unifor's hardball approach to negotiating could turn off automakers from investing in Canada, especially if it can unionize Toyota's and Honda's plants. "You have to give Dias credit for getting the best possible deal for his workers," Faria said. "... but he drew a line in the sand before talks even started. How can you even negotiate then? "I would not want to be dealing with that organization if I was an OEM." Unifor will next negotiate with a Detroit Three automaker in the fall of 2017, when a new contract for workers at GM's CAMI Assembly Plant in Ingersoll, Ont., comes due. Those workers are on a separate contract and were excluded from this year's auto talks.